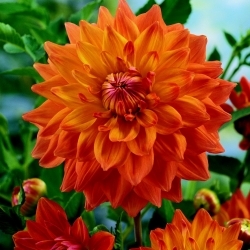 Sometimes new dahlias will be produced from crossbreeding, that look very different from what was initially planned, but because of the excellent properties they prove to be a useful innovation. If these do not fit into another collection, they will be placed in this ACE series. This way the dahlia enthusiast has a change to get hold of them.